Each year, the staff of the Greater Raleigh Convention and Visitors Bureau spends a full day at our Annual Retreat. 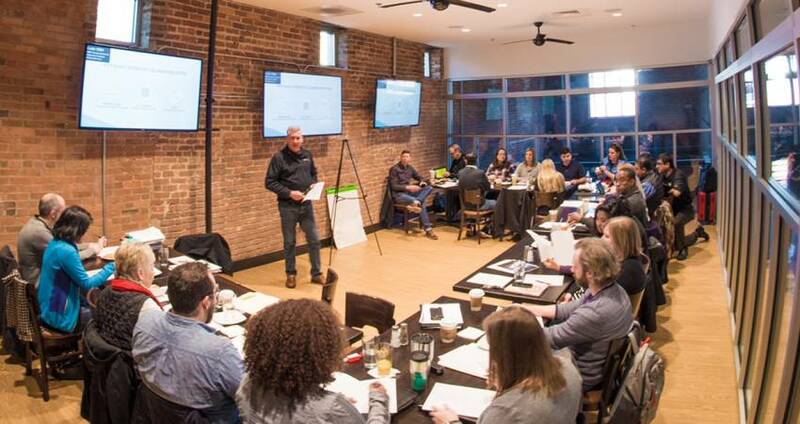 Always in Jan., midway through our fiscal year, we schedule a day together (at one of our hospitality partners&apos; venues) to talk about the year that has passed and the year ahead. We evaluate what worked, what didn’t, what can we do better or what products or programs have served their purposes and soon need to be retired. The retreat is a benchmark for what we accomplish as a Bureau. I looked back at the minutes from previous retreats and was pleased to see that we have accomplished many of the goals and tasks we established during these working sessions. Since the first of the fiscal year, we have been working with consultants, JLL, to develop a comprehensive Destination Strategic Plan for all of Wake County. The project is still underway and will be revealed at the Annual Meeting on Aug. 16, 2018 (mark your calendars). We’re all excited about it and looking forward to what JLL will recommend. However, a comprehensive plan such as this is bound to translate into people-hours and dollars. How are we going to accomplish the tasks that the plan will bubble up with the GRCVB staff and budget resources that we have? The DSP may (we honestly don’t know yet) reorient much of our business plan. When the rubber meets the road, how are we going to achieve the goals it will set forth starting in 2018-2019? How many systems are too many? One of the advantages we have at the Bureau is the many digital tools at our disposal. A robust CRM database, a state-of-the-art content management system for managing the website, the Digital Marketing Platform (DMP) for online marketing communications, Basecamp for project management, ExpenseWatch for purchasing management, the list goes on and on. But how many systems are too many? And how can we make sure we’re getting the most out of each? Are there ways we could be using the CRM, for example, to better advantage, with both potential clients, with community stakeholders and with partners who log in? In our afternoon agenda, we talked about relationship strengthening with you, our partners, evaluated our meetings and public relations social media opportunities and talked some nuts-and-bolts about human resources policies, among other things. My favorite part of each retreat is the hour we spend late in the day just brainstorming. What new ideas might we explore to do our jobs better? What tourism issues are we facing countywide, and can we do some active problem-solving? The retreat is always exhausting and energizing, at the same time. We all leave rather wrung-out, but for the good of the Bureau and the area. You may see some of the results of the retreat in future communications and programs coming from our offices. Please know we make every effort, and the staff retreat is evidence, to see that the work we do is as effective as it can be.